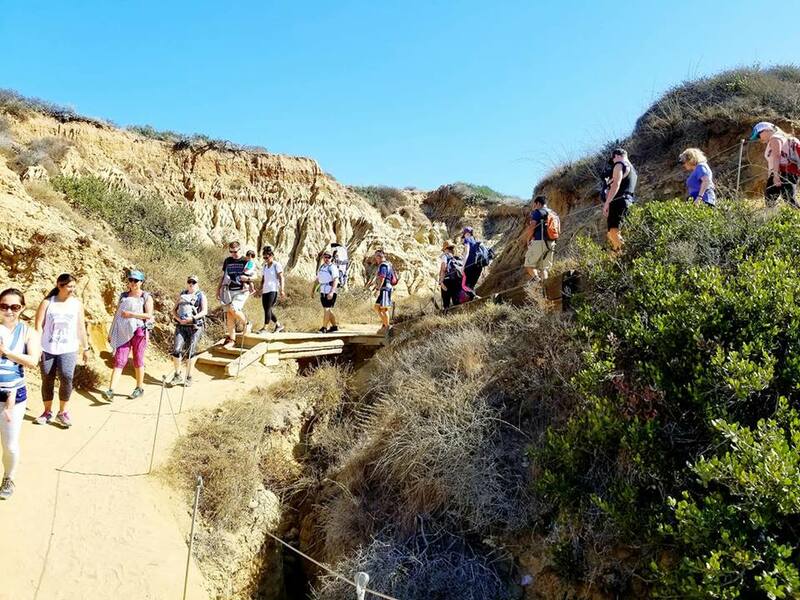 The Beach Trail is in the Torrey Pines State Reserve is a trail area with sweeping ocean views along the coast in between La Jolla and Del Mar. From the parking areas you head straight up a paved path that allows cars. From the top there are several dirt trails with the Beach trail, leading down to the beach, being the most popular. This is one of the top tourist destinations in San Diego so head out early or on a weekday to beat the crowds. If you time it right you can hike to the top of Torrey Pines, hike down Beach Trail and walk back to the trail head/parking area along the beach rather than hiking back up the Beach Trail. Just make sure it’s during low tide or your feet will get wet! Don’t hug the cliff in case of falling rocks. Parking is $15 in the lots. Parking is free along the road, but it’s tricky to claim a spot.